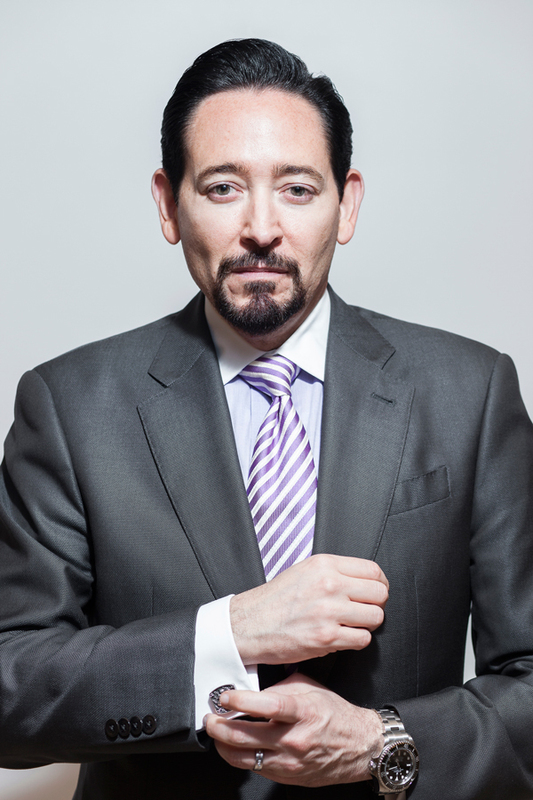 Thaddeus Arroyo is a CEO on assignment. His mission: to make AT&T the mobile industry leader in Mexico within the next 10 years. It’s more complicated than it sounds. So far, AT&T Mexico has completed a series of mergers and acquisitions that have greatly strengthened its presence and set it up for competition in the Mexican market, but there is a long way to go. The market leader is currently América Móvil, owned by famed billionaire Carlos Slim, followed by Spain-based Telefónica. Since taking over as CEO of AT&T Mexico in January 2015, Arroyo has been setting up AT&T, which currently derives three-quarters of its revenue from mobile customers in the United States, for one of its boldest growth plans yet. In order to avoid relying on competing in a price war with smaller competitors, AT&T is looking to take advantage of its potential for strength in the Mexican market. Arroyo’s is a strategy that will ultimately build a more connected world, and for him, that is reason enough to carry out the enormous undertaking. In Mexico, Arroyo is building teams that think creatively about delivering unexpected outcomes, pushing them to test their limits and learn from failure by viewing it as a cumulative set of information. His approach is built on trust and transparency and leaves plenty of room for collaboration, which, he stresses, is ultimately what determines what is possible. AT&T plans to invest in Mexico to expand its high-speed mobile broadband coverage to 100 million people by the end of 2018. The company currently holds the largest amount of spectrum in the country. For AT&T Mexico, reaching its goal of overtaking the top market spot means taking a unique and focused approach. It means exploring technological ideas that were not possible 25 years ago. As the Internet becomes ever more deeply embedded in everything we do, mobility is changing the way we live and work. People are less constrained by previous limitations, and the distance from intent to action has been greatly shortened. Interaction is immediate, and billions of people are connected via the cloud. These advances also create an immense amount of data, which, in turn, can be used to create new experience and services to change the evolution of the digital frontier. The possibilities are limitless, especially for a company dedicated to continuous education and improvement. One way AT&T Mexico is pushing its limits is by leapfrogging over the second-generation technology currently available to most mobile users in Mexico and expanding its 4G LTE network capabilities, with the goal to cover nearly 70 percent of Mexico by the end of 2018. In 2014, AT&T Mexico acquired Iusacell, and in early 2015, Nextel Mexico, completing the first stage of its game plan. The mergers allowed the company to launch the AT&T United plan, which offers calling capabilities throughout North America. The network is capable of serving 400 million people and businesses in the Mexico, the US, and Canada. According to Arroyo, the plan will positively impact the economy in Mexico and drive innovation. There are over 21 million people based in Mexico who travel frequently to the US and 30 million US citizens who frequent Mexico. “Those numbers are a good indication of what’s to come in years ahead, and we’re transforming the underlying infrastructure that will help advance Mexico’s mobile and digital capabilities,” he says. But AT&T Mexico’s impact on the industry and economy goes far beyond technology. An important part of Arroyo’s strategy is to elevate the customer experience in every way—from improvements in the devices the customers use, to the networks they access, to the retail stores they visit, and their interactions with customer service representatives. Arroyo is committed to making AT&T an agent of change. “Instead of being disrupted by change, we want to be the disruptors,” he says. “That means understanding trends and thinking about what capabilities the economy will require for growth.” AT&T Mexico plans to drive economic vitality in Mexico over the next decade and beyond by implementing the strongest global network and an award-winning customer experience. AT&T Mexico emerged on the heels of regulatory reform in Mexico, entering the most stable macroeconomic environment the country has seen in years. The company now has the opportunity to transform the market and lead the industry, rethinking products and services and focusing on the future of a highly connected world. Arroyo is poised to drive all of that, pushing his teams beyond their self-perceived limitations. In short, the route Arroyo envisions for Mexico moves toward open lines of communications between people, families, businesses, and the rest of the hemisphere and world. “It’s about changing the way people live and work, exercising economic activity and business velocity, keeping families better connected, and strengthening and empowering communities,” he says of AT&T’s bold plan. And with an opportunity and mission like that, the only limitation is the imagination.